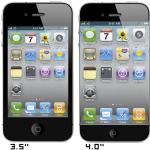 Apple iPhone releases update version of iOS operating system iOS 3.0. With launching of new version of iOS 3.0, it enables the iPhone gadget ability to view and interact with two calendars at a time. One cannot add multiple calendars on iPhone itself. For this purpose, one has to use different valid options that support to sync multiple calendars with iPhone. 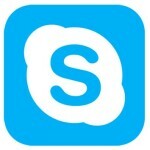 Running multiple instances of skype account on a single computer is not supported by skype application. Skype is one of most popular communication application and with increase of its usage, every one wants skype instances in its PC. However, with making slight different chances in properties of skype shortcut, second skype instance can be opened on a same computer. Follow these steps in order that how you can do it. Previously, we have been sharing business, social, utility, game, and reference apps and rating them with all our hearts open. Today we bring you a list of top 5 most popular, reliable and useful elections apps for iOS and Android. Every citizen of a democratic system wishes to be a key contributor to the election process (not to forget, only the eligible ones) and stay up to speed with all the developments as they take place. Considering the tech and gadgetry influence in our lives, it is has become ‘need of the era’ to have tools and applications supporting our gadgets providing election season updates.